Stricter mortgage lending standards are expected to continue placing downward pressure on dwelling values, with the latest CoreLogic figures reporting a further nationwide decline. Property research group CoreLogic’s latest Hedonic Home Value Index has revealed that national home values fell by 0.7 per cent in February, driven by a 0.9 per cent decline across Australia’s combined capital cities and a 0.3 per cent drop across combined regional locations. The sharpest monthly decline was reported in Darwin (1.7 per cent), followed by Perth (1.5 per cent), Sydney and Melbourne (1 per cent), Brisbane (0.3 per cent) and Canberra (0.2 per cent). Adelaide’s residential property prices remained flat, while Hobart was the only capital city to report an increase in value of its dwellings, which rose by 0.8 per cent. Reflecting on the results, CoreLogic’s head of research, Tim Lawless, said that while the national rate of decline eased in February, tighter credit conditions are continuing to stifle demand for housing. “The national rate of decline eased relative to January and December, when dwelling values were down by around 1 per cent. However, the February results remain overall weak, with the geographic scope of negative conditions broadening,” he said. 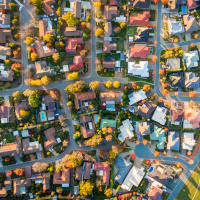 On an annual basis, CoreLogic has reported that national dwelling values fell by 6.3 per cent in the 12 months to February 2019, largely spurred by a 7.6 per cent decline across Australia’s capital cities, particularly in Sydney and Melbourne where home prices declined by 10.4 per cent and 9.1 per cent, respectively. However, Mr Lawless noted that properties in the most affordable end of the housing market are retaining much of their value, with a fall of 2.6 per cent over the 12 months to February, compared to a 10.7 per cent decline across the most expensive quartile of the housing market. Mr Lawless attributed the varying trend to an uptick in demand for affordable hosing from first home buyers (FHBs) and a reduction in demand for high-debt borrowing from lenders. “The stronger conditions across the more affordable properties can be explained by the surge in first home buyer activity in these cities, as these buyers take advantage of stamp duty concessions available in NSW and Victoria,” Mr Lawless added. However, according to the analyst, the entrenchment of tighter credit conditions off the back of the banking royal commission would continue weighing on the national housing market. “Stricter lending standards are a logical outcome following the royal commission, and we are likely in the early phases of a ‘new normal’ for mortgage lending where borrowers will face closer scrutiny around their expenses and ability to service a loan, and conversion rates on loan applications are likely to remain lower than they have been over prior years,” he said. Mr Lawless added that low mortgage rates could help offset the headwinds, particularly if the Reserve Bank of Australia moves to cut the official cash rate in response to a potential slowdown in consumer spending. “If households reduce their spending as the wealth effect continues to reverse, then interest rate cuts or other policy intervention could become more likely,” he concluded.